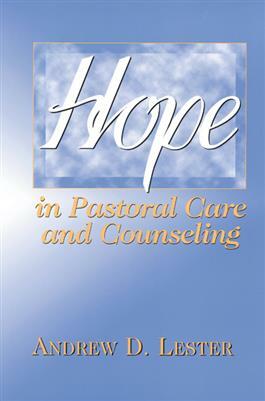 In this ground-breaking book, pastoral counselor Andrew Lester demonstrates that pastoral theology (as well as social and behavioral sciences) has neglected to address effectively the predominant cause of human suffering: a lack of hope, a sense of futurelessness. Lester not only looks at the reasons why addressing the ideas of hope and despair has been overlooked by pastoral theology and other social and behavioral sciences. He also offers a starting point for the development of addressing these important dimensions of human life. He provides clinical theories and methods for pastoral assessment of and intervention with those who despair. He also puts forth strategies for assessing the future stories of those who despair and offers a corrective to these stories through deconstruction, reframing, and reconstruction.